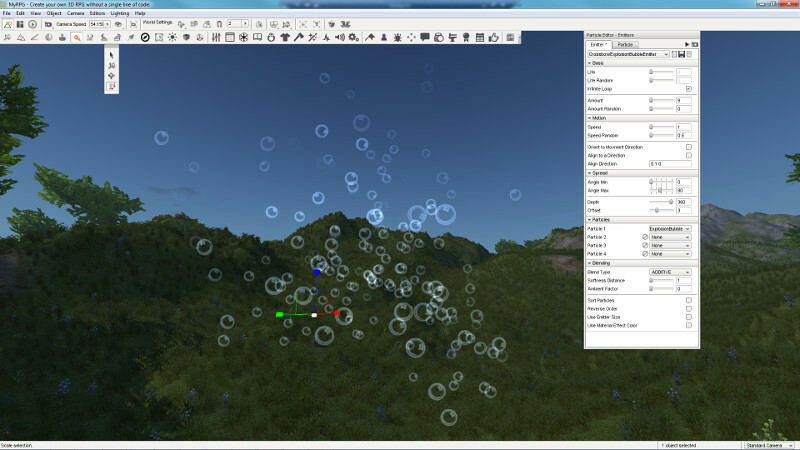 Create particle Effects with the Particle Editor. Particle effects cover a large scope of effect from explosions to persistent particles and environmental particles. Theses particles can be used to improve your scene’s visual effects, and to create custom spells and skill effects.